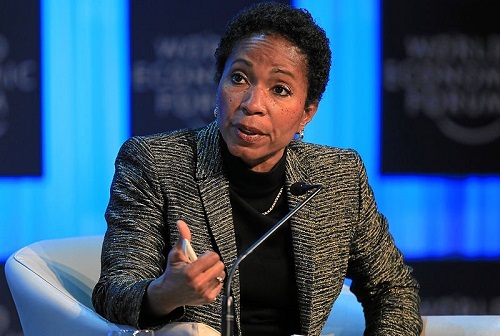 The announcement that Helene Gayle, the retiring CEO of CARE, was going to be inaugural CEO of the McKinsey Social Initiative struck us as noteworthy for reasons that other press outlets really haven’t covered. One interesting dimension of the story is the huge McKinsey operation, with $8 billion in annual sales in 2013, forming its own nonprofit consulting firm, as MSI will be. McKinsey has long had a social sector practice, at one time headed by Lynn Taliento, and many McKinsey & Company alumni have had major direct impacts on the nonprofit world. Notable McKinsey alums include Luis Ubiñas, until recently the president and CEO of the Ford Foundation; Sir Ronald Cohen, the British venture capitalist who is a huge promoter of social enterprise tools and techniques such as Social Impact Bonds; Bill Drayton, the founder and chair of Ashoka; Jim Collins, author of Good to Great (and a past contributor to the pages of the Nonprofit Quarterly); Jay Coen Gilbert, co-founder of the B Lab that certifies “B Corporations”; Chelsea Clinton, most recently taking a leadership role in what is now the Bill, Hillary, and Chelsea Clinton Foundation; Sylvia Mathews Burwell, the current HHS Secretary, previously a vice president of the Bill & Melinda Gates Foundation and president and CEO of the Walmart Foundation; and economist Peter Orszag, head of OMB under President Obama and previously with the Brookings Institution. Some portion of McKinsey’s thinking on nonprofits is contained in the McKinsey on Society website, where there are essays and research summaries addressing topics such as how poor school systems can become good school systems and, not surprisingly, extolling the potential of social impact bonds. In other words, as a global management consulting firm, McKinsey has had a nonprofit practice carried out by some of its 19,000 staff in over 100 offices in 61 countries. This looks a little like Bain & Company’s creation of the Bridgespan Group in 1999. Bridgespan started out strongly with a $1 million grant from Bain plus several loaned staff. Like McKinsey, Bain & Company is a wealthy parent for its nonprofit consulting spinoff, with sales of around $2.1 billion. The Chronicle of Philanthropy suggests that the McKinsey Social Initiative will start life with a $70 million capital infusion from McKinsey & Company plus access to 25 of its consultants to work on MSI projects and advice from 10 McKinsey partners. The Chronicle piece implied that MSI has also started off with a $15 million infusion from USAID—if that’s so, it had to have been in the works when Raj Shah, a former Bill & Melinda Gates Foundation official, was still USAID administrator—and $3.2 million from Walmart. The Walmart grant is actually part of a $16 million commitment from Walmart and the Walmart Foundation to seven nonprofits to increase the economic mobility of entry-level retail workers (the other grantees included Jobs for the Future, Dress for Success, Goodwill Industries, the National Able Network, the ACT Foundation, and Achieving the Dream). For MSI, the Walmart and USAID grants are parts of a larger program it calls Generation Initiative that will “give youth the practical skills and personal confidence for career success—and build a cohort of work-ready, high-energy new hires who are set up for long-term career success” in a program of 8-12 weeks (sites are planned or already operational in Pittsburgh, Kenya, India, Spain (Madrid and Barcelona), and Mexico. The expectation of the initiative is one million young people trained and placed in jobs in five years.